Virtual crate-digging might not get your fingers dirty, but it’s still a labor of love. 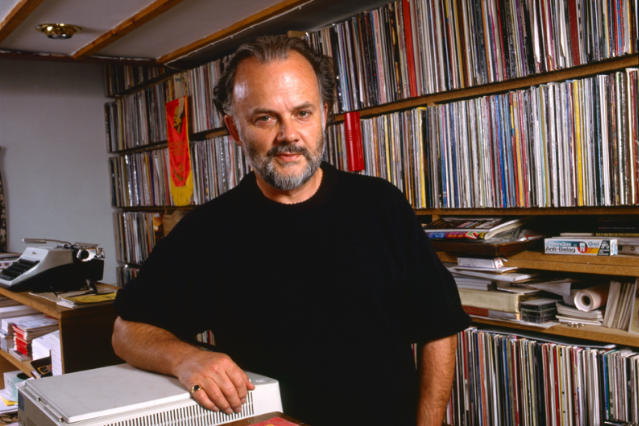 The first 100 records from the late John Peel’s massive record collection are now available for browsing online. As fun as it can be to see the beloved British DJ’s handwritten index cards for his trove of more than 65,000 slabs of vinyl, the real thrill is listening to the music, right? That’s easier said than done. The good people behind the Peel online archive have gone about this process the legit route, which means the records that would most greatly benefit from rediscovery — in other words, the ones you can’t buy on iTunes or stream on Spotify — are still unavailable to hear. And just as Peel was hardly known for his turntable or mixing techniques, his online record collection suffers from the occasional broken link or out-of-order disc (two records by Jamaican roots-reggae giants the Abyssinians, separated by Southern drum-and-bass, Midwestern death metal, and U.K. Oi! punk!). Luckily, we at SPIN are here to help. While we can’t link to Peel’s not-online rarities like AC/DC’s Live From the Atlantic Studios, which you can buy for $250 on Discogs, we’ve scoured through the online shelf to find some of the most notable records you can stream from the Peel vaults so far. Poke around for yourself here, or go here for links to Peel’s live sessions, radio shows, blog, and other content. Although it’s all too easy to romanticize Peel today, the idea that a DJ would play a song for one simple reason — because he liked it — is as refreshing in an era of search engine optimization and conglomerate-controlled playlists as it was during the taste-making DJ’s heyday. A.R. Kane – Sixty Nine Because the atmospheric art-pop of this British duo’s 1988 debut album on Rough Trade — which followed their better-known “Pump Up the Volume” collaboration as M/A/R/R/S — is perfectly suited for the current indie scene’s ongoing Jesus and Mary Chain-Cocteau Twins fixation. ABC – The Lexicon of Love Because the glossy R&B-pop of this Bryan Ferry-damaged Trevor Horn production — the U.K. band’s debut LP — deserved its chart success. Abdel Gadir Sali – Nujum Al-Laill/Stars Of The Night Because while Peel’s broad indie appeal inevitably means his collection of African music might lack the depth of a niche specialist, he helped introduce his audience to new worlds of sound, including this sinuous album by one of the best-known Sudanese singers. Mike Absalom – Save the Last Gherkin For Me! Because you don’t even need Spotify to hear this eccentric U.K. singer-songwriter’s lone album for Saydisc, released in 1969. Johnny Ace – Memorial Album Because this early R&B pianist-songwriter died young and left this impeccable 1955 posthumous compilation album before it was a cliché. Acid Reign – Moshkinstein Because it’s a 1988 British thrash-metal EP by Acid Reign titled Moshkinstein. David Ackles – American Gothic Because this late singer-songwriter’s 1972 collaboration with Elton John lyricist Bernie Taupin is grandiosely bleak Americana that should please fans of everyone from Scott Walker to Cass McCombs. Adam and the Ants – Kings of the Wild Frontier Because the tribal rhythms of these U.K. new wavers’ Malcom McLaren-guided 1980 breakthrough continues to encourage us to dress like pirates.